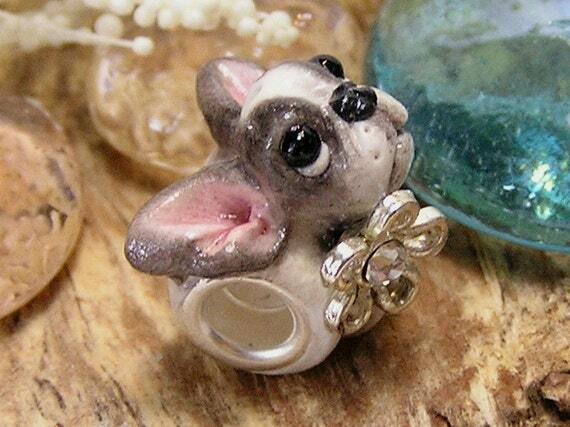 One hand-sculpted Boston Terrier Pandora bead. The Boston Terrier lays on a white silvery base and is embellished at the neck with a silver flower with rhinestone center. The bead is stamped on the back with a small paw print. The bead has silver metal core insert. The bead is sculpted from polymer clay and varnish sealed for protection. The hole is 4.7mm wide.